How Elon Musk Applies His Tesla Leadership - For those who have been following the development of technology, I am sure that they all are familiar with the name Elon Musk. Musk is the CEO of SpaceX and Tesla. He has been seen as one of the most important people in technology. With the newest Tesla Model S car that has been giving a lot of people a great impression of automatic car, the company that he leads has become one of the most important companies in the world. Being the CEO of the largest tech company, which is planning to put people on mars, Musk is seen as a great leader. So, how the leadership in Tesla in the hand of Elon Musk? 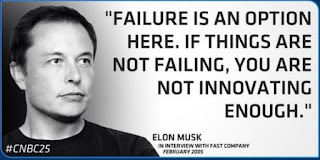 One of the examples of how Musk applies the leadership in Tesla is by inspiring a movement. This idea can be seen through the number of electric cars that do not produce too much, almost zero in fact, pollution. With its Model S series, the company has proven to the world that it is possible to have a car that runs on electricity and that only produces a tiny amount of pollution. This car has been an inspiration for a lot of people as it proves to the world that green energy is possible. Now, a number of companies are challenging themselves to make an affordable yet green car and market it to the mass. Another way that Musk does to show his leadership in Tesla is by elevating the brand. Back then, Tesla was just a brand that almost nobody knew. However, with his great idea in creating a car that not only is able to run on electricity but also has a great design, Musk has elevated Tesla in a level that everyone could not predict. Thus, if you are a leader of a company, you may have to mimic the way Musk runs things in Tesla.